MACH64 Manual Introduction (sample includes Table of Contents) (.pdf). 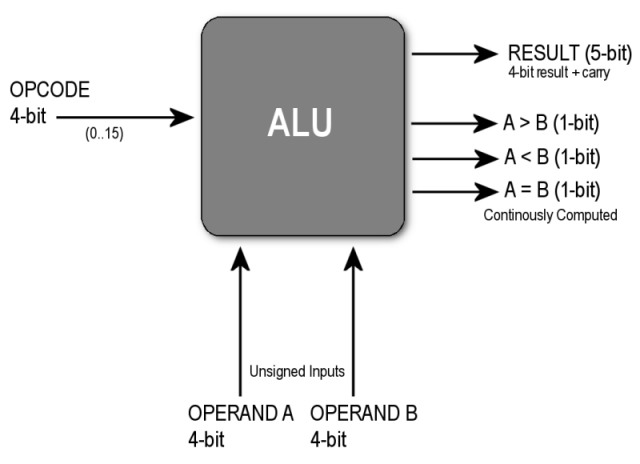 MACH64 Manual ALU Lab Sample (.pdf). 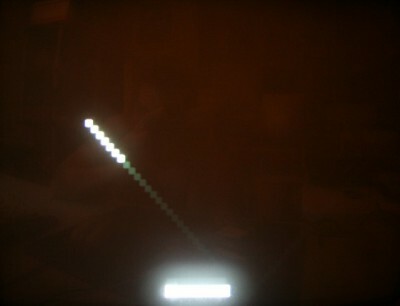 MACH64 CPLD - Knight Rider LED 2 'Eye' (HTTP). 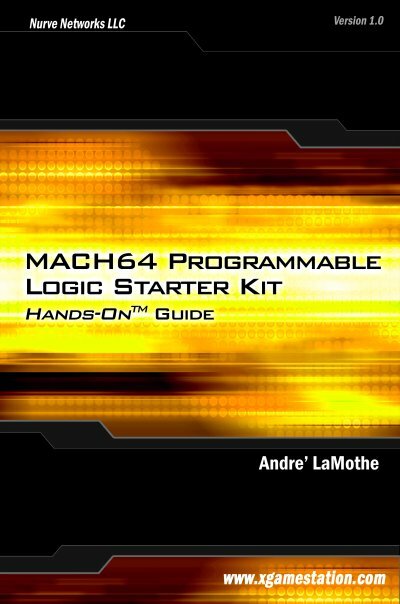 The MACH64™ Programmable Logic Starter Kit takes you from mystery to mastery in the black art of Complex Programmable Logic Devices (CPLDs). 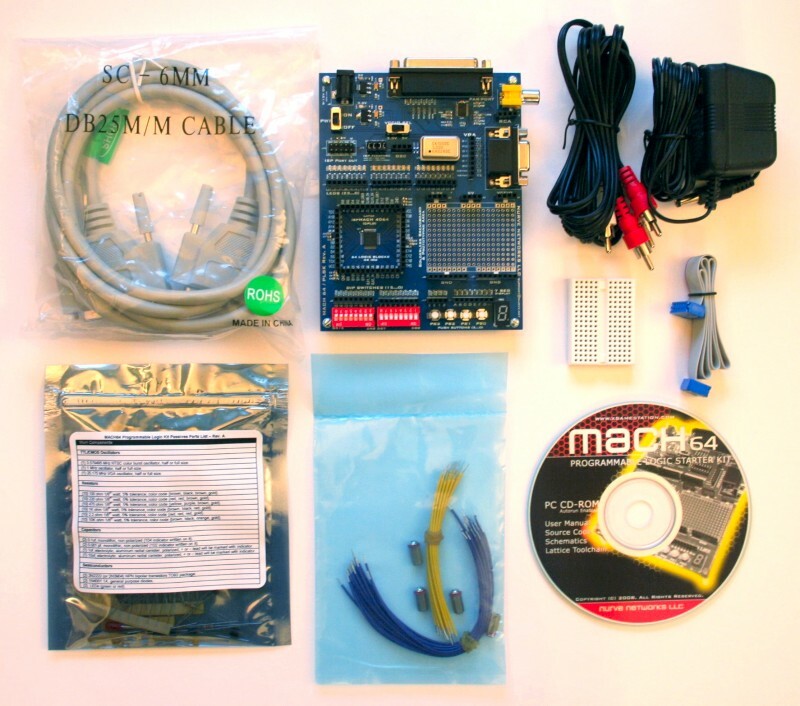 Learn to turn Software into Hardware with this incredible technology! 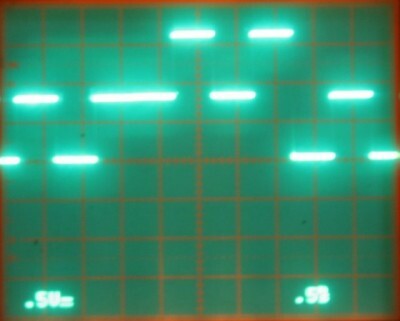 What's a CPLD? CPLDs are chips that are internally constructed of an array or matrix of programmable logic units or blocks. 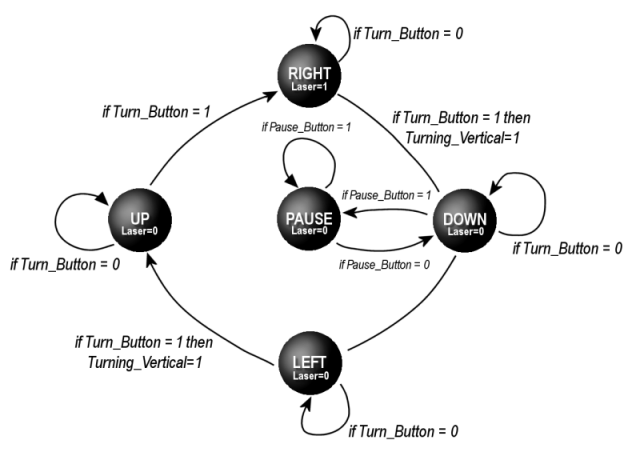 Each cell can perform various logic functions. The power of CPLDs is that with a software based tool you can write "code" that is compiled into a hardware description that is then downloaded and Flashed into the CPLD changing its behavior to your exact specifications. 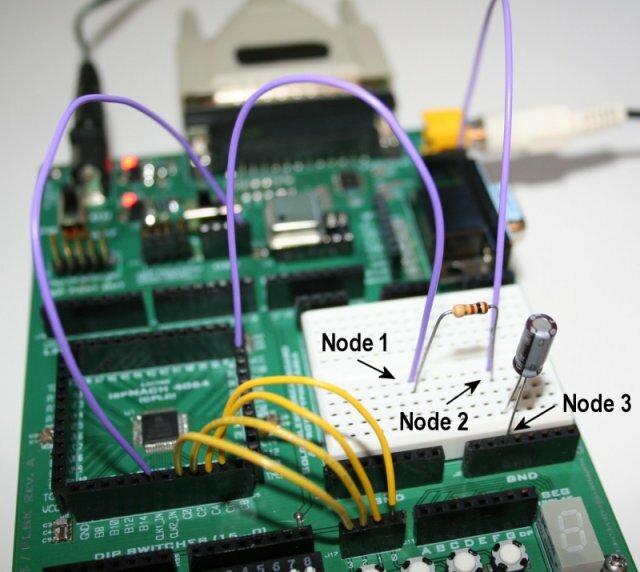 By mastering this technology, you can develop your own chips that run at blazing speeds as well design very complex systems that would be impossible with discrete TTL chips. CPLDs are a great starting point for those interested in programmable logic technology and allow you to seamlessly move into their bigger brothers - Field Programmable Gate Arrays (FPGAs) when you're ready. 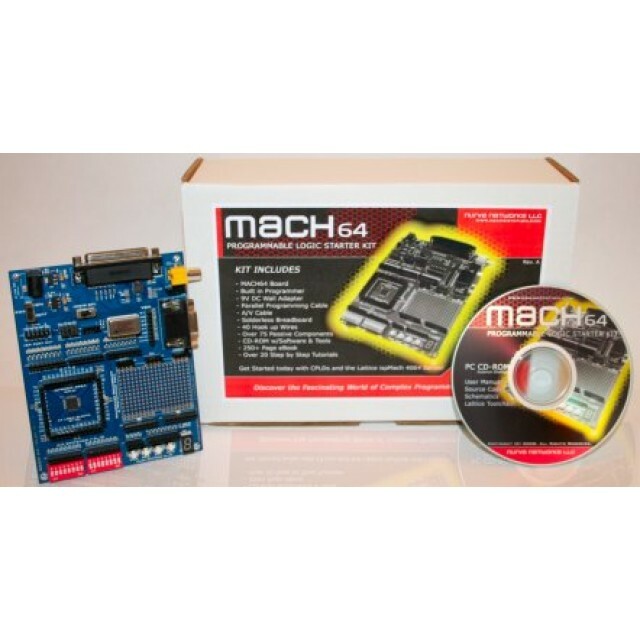 A complete Lattice ispMACH 4064 series development kit with a built-in programmer which supports external targets as well. 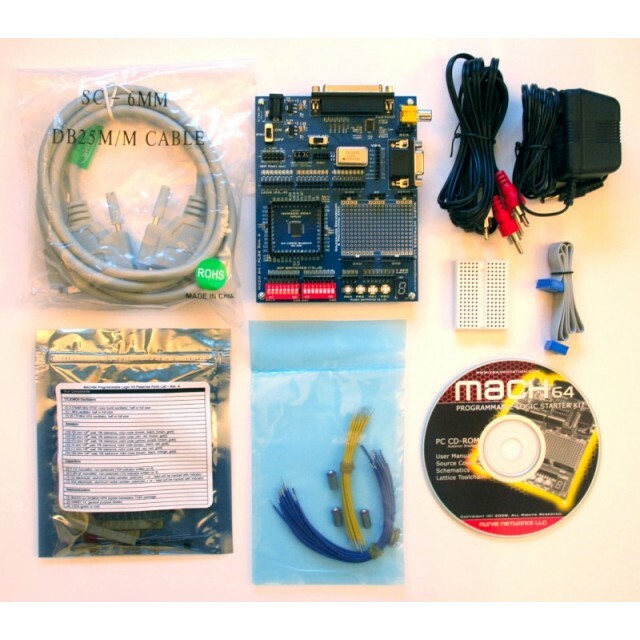 A powerful educational kit that teaches CPLD technology and programming from the ground up - applicable to any CPLD. The MACH64 kit comes complete with everything you need to learn, experiment, design and program with CPLDs. 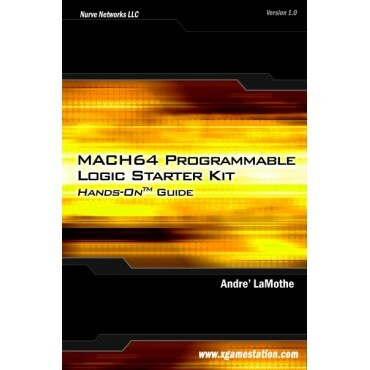 The included 250+ page manual starts off with the technology of CPLDs and then eases you into the ABEL Language used to program CPLDs. 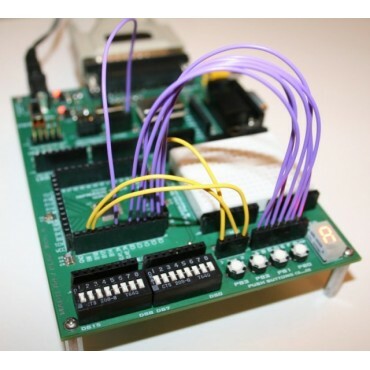 The numerous challenging hands-on projects include: basic logic gates, counters, state machines, ALU design, audio generation, NTSC and VGA video generation and much more! Everything you need to build all the labs is included in the kit along with extra parts for your own creations. 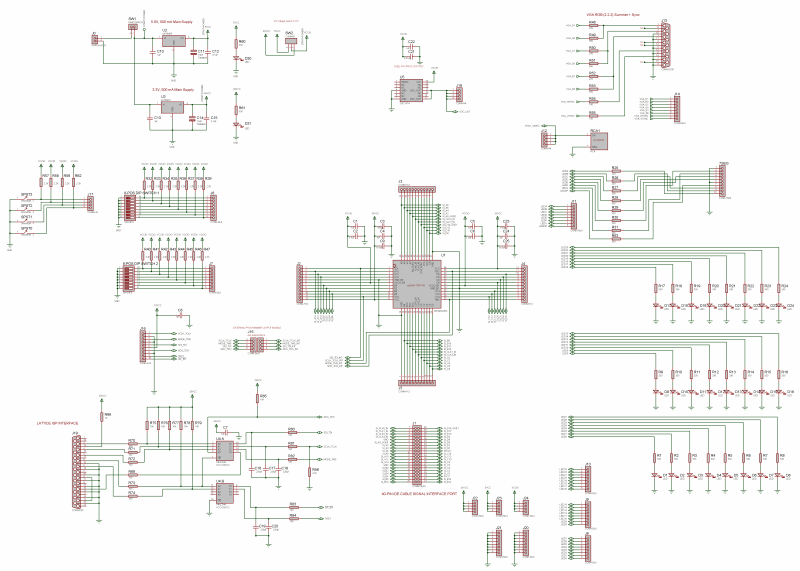 Resistors, capacitors, LEDs, transistors, diodes, and more! 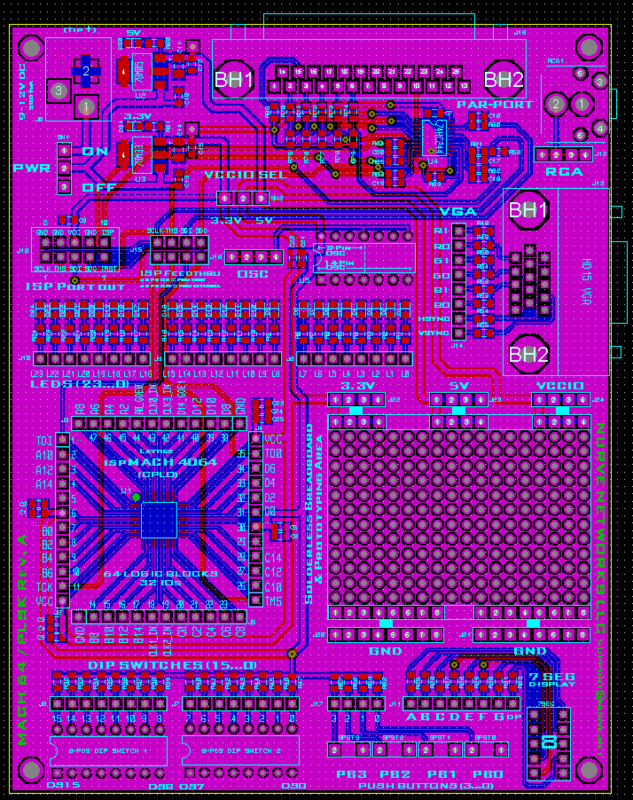 Design your own chips! 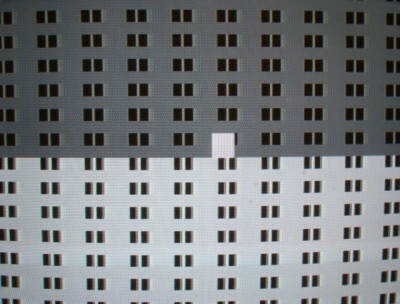 REQUIREMENTS: Windows PC with parallel port. 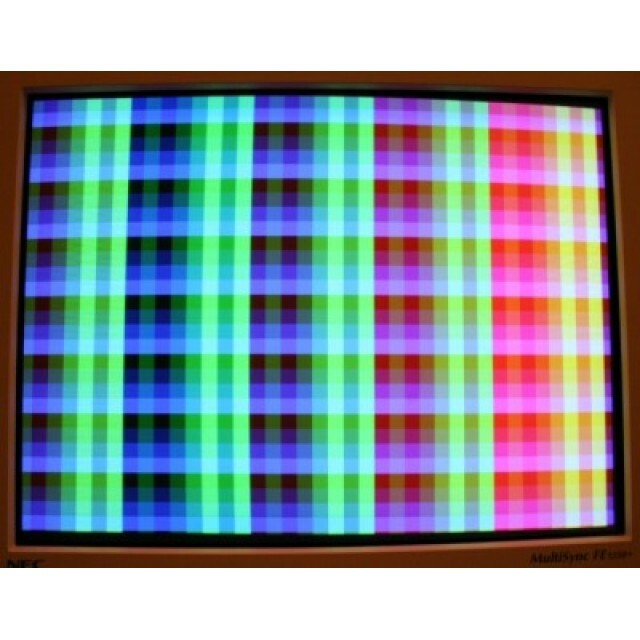 NTSC TV monitor for NTSC labs. 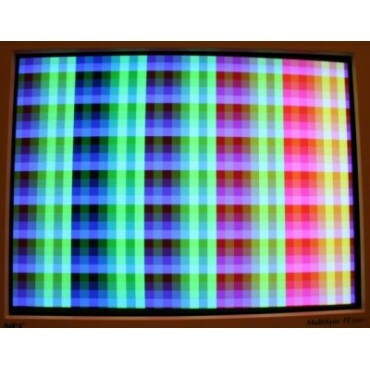 VGA monitor for VGA labs. What's ABEL? ABEL stands for Advanced Boolean Equation Language. 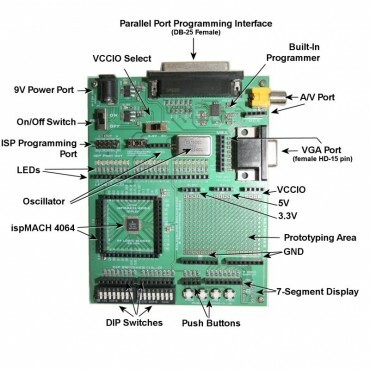 It's an industry standard language used to program CPLDs and is very easy to learn. 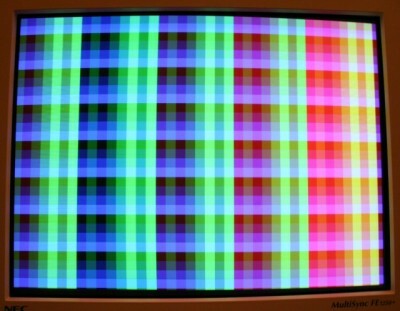 ABEL is similar to a subset of C in many ways. 250+ Page Hard Copy User Manual. 9V @ 300 mA, 2.1mm, DC Wall Adapter. 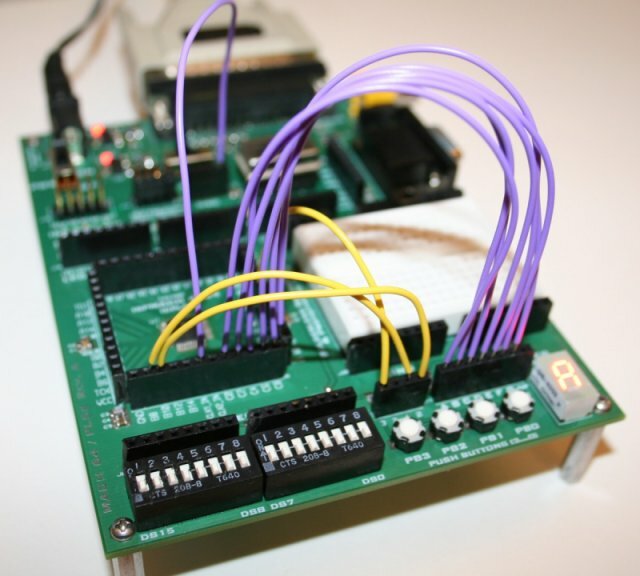 DB25 Parallel Port Programming Cable. 40 Hook up Wires (20 long, 20 short). 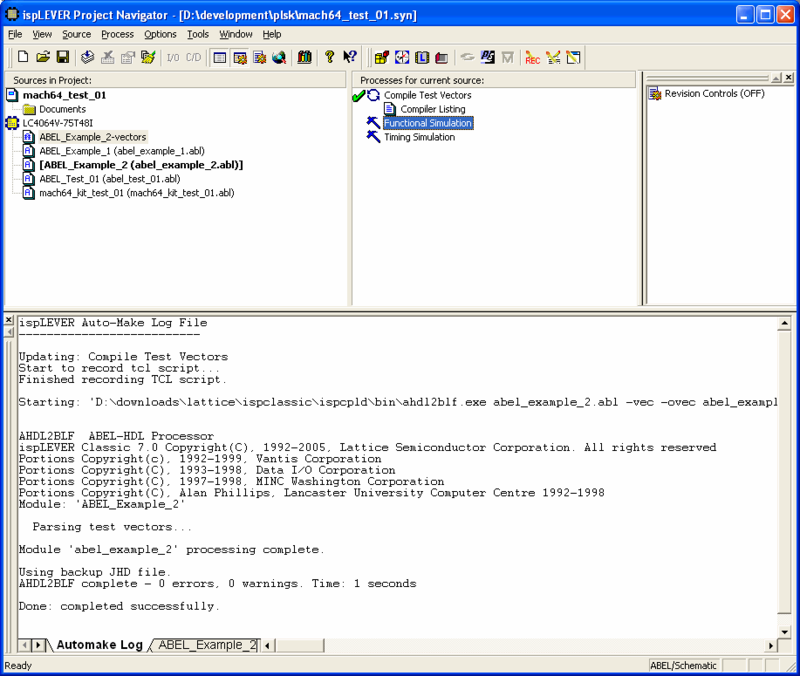 Windows CD-ROM w/Software & Tools. Over 20 Step by Step Tutorials.